Quality Inn & Suites is a top Port Everglades motel for all visitors who wish to come and take advantage of all that Florida has to offer. 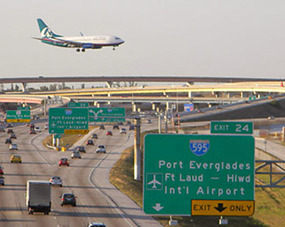 We're conveniently located near Fort Lauderdale Airport, Port Everglades, Sun Life Stadium, among other notable attractions. We provide affordable rooms, and you don't have to pay more for quality suites. Call us today at 877-981-1800 so you can find out more on our serves and amenities. Quality Inn & Suites Hollywood Boulevard achieves the perfect balance of comfort and low-cost rooming. 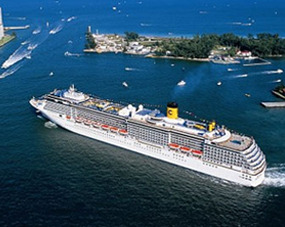 Don't just find any Port everglades motel! We're among the top hotels in the area, with a stellar reputation and a knack for affording customers important discounts and efficient transportation. In addition, we're an eco-friendly hotel that accommodates pets and those with disabilities. You'll come to enjoy our hotel as you take a stroll through our grounds. Our hotel amenities include a business center, sundry shop, laundry services, outdoor heated pool, 24-hour free coffee, and a free continental cold and hot breakfast. Whether you come to South Florida for fishing, family vacation, or romantic get-away, we're located in an area that gives you access to many diverse attractions and events. Quality Inn & Suites is part of Choice family hotels that caters to all types of visitors. Our in-house amenities include a refrigerator, microwave, coffee maker, fresh sheets and pillows, a soft mattress, hair dryer, iron and ironing board, and a safe. 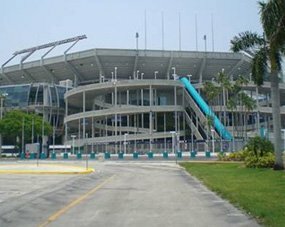 In addition, we provide free parking and low-cost shuttle services that run to important destinations throughout South Florida. 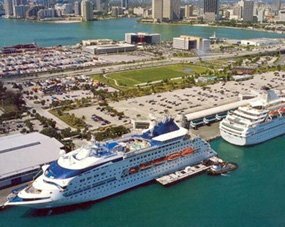 A Port Everglades motel is right around the corner when you choose us!